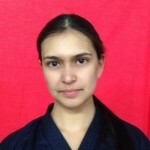 This is the fourth in a series of articles featuring the IGA Ken delegation to the 15th Hong Kong Open. This time we focus on the Ladies' Team C.
They are the second of two IGA Ken teams not composed of Arena members. One from the Dasma Dojo and one from UP Ken, they seem to be the most unlikely team to compete in the tournament. They are the least experienced team, and undermanned. Still, everyone loves the underdog, right? And these underdogs aim to pull off some surprises that their opponents won’t see coming. 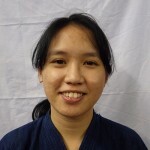 Short Bio: Erica is one of the founding members of the UP Kendo Club. She is not very confident in her Kendo abilities, much to the chagrin of her senpai who see much potential in her. Still, she perseveres in her training and is always seen doing her best. Short Bio: Learned to drive a 10-wheeler truck before driving a car. Enjoys free diving, drag racing, and playing with all kinds of weapons ranging from bowie knives to semi-automatic assault riffles…just your normal everyday person!